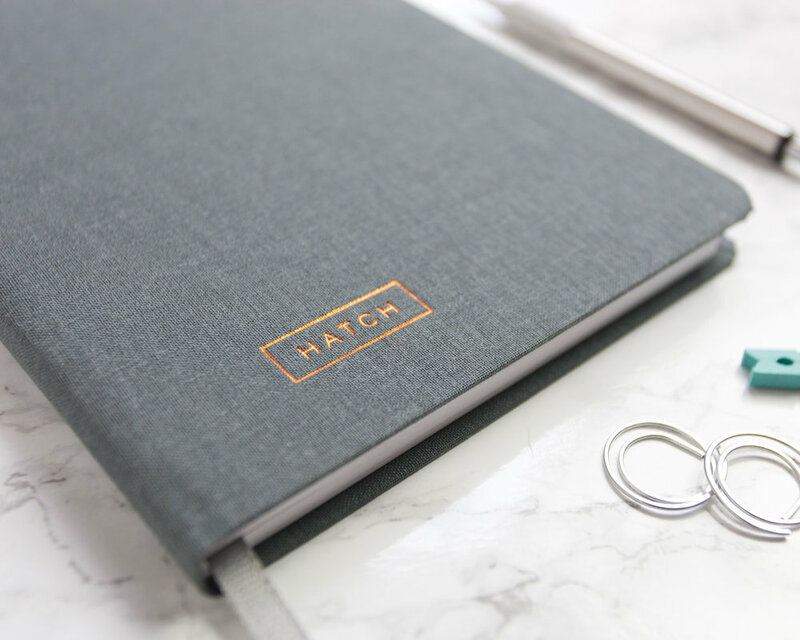 The Hatch Notebook helps you turn ideas into reality. Hatching ideas requires a blend of creativity and practicality, inspiration and perseverance. 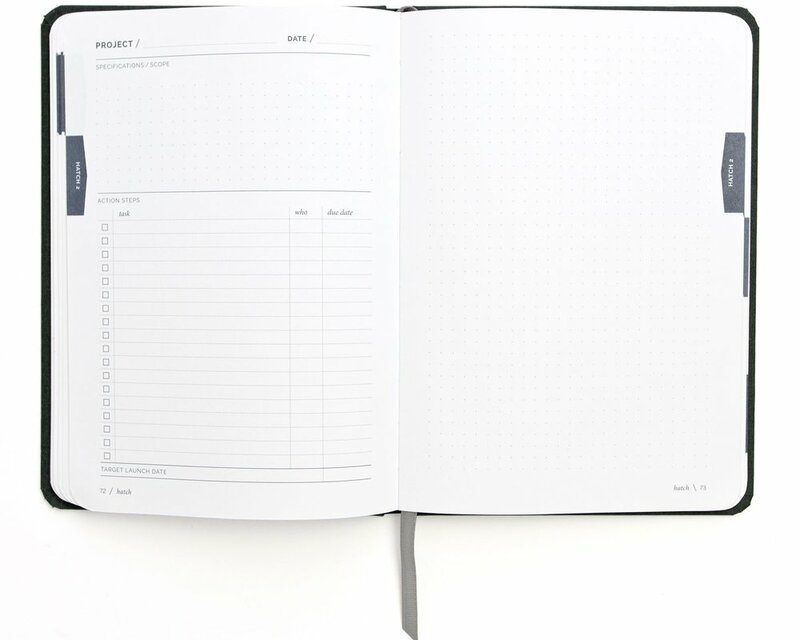 This notebook is a system to brainstorm, keep track of your ideas, evaluate their merits, decide which ones to pursue, and then plan and execute. The notebook includes 3 sections: Conceive, Incubate, and Hatch. Each section helps break down your grand ideas into realistic pieces and action items. The notebook is hard-bound with a book cloth cover. Quotes, tips, & guidelines to help you figure out where to start and keep you motivated. Plenty of space for brainstorming, notes, & sketches. With no detail left unconsidered, this is a notebook that is fun to use and you'll love to carry with you wherever you go.